Today’s yoghurt recipe is another one you can feel good about eating on a hot summer day – mango popsicles! 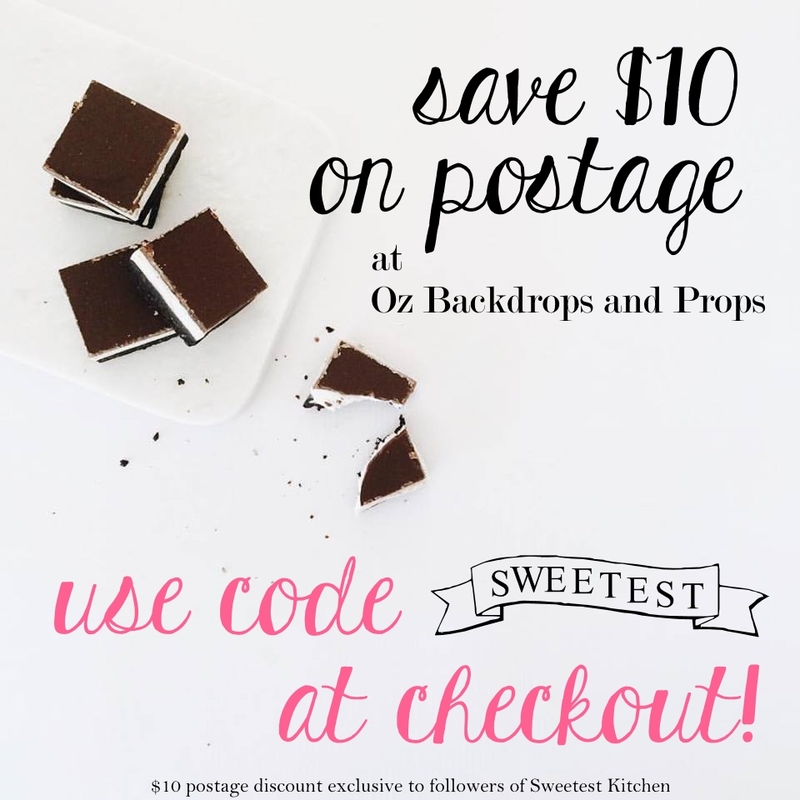 With the freshest and best-quality ingredients, these will go down a treat with everyone. 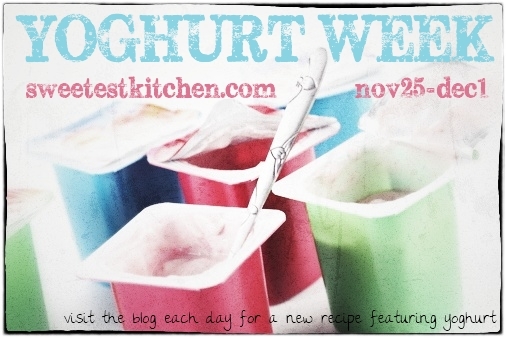 The recipe comes from the big tub of Chobani 2% Greek Yoghurt, but can also be found at the Chobani Kitchen website. I prepared these popsicles in the molds that Chobani Australia sent me along with all that delicious yoghurt (see Yoghurt Week: Banana Bread). Chobani likes to call these popsicles “Mango Frocho Pops”, which I think is pretty cute! They’ve replaced “froyo”, short for “frozen yoghurt”, with “frocho”, short for “frozen Chobani”! You’ll need just four ingredients to bring these popsicles together: Chobani 2% Greek Yoghurt (or good-quality low-fat Greek yoghurt), fresh mangos (frozen will also work), a lemon, and honey. To prepare, simply throw everything in a food processor (a blender will also do the trick), process until smooth and pour into your popsicle molds. 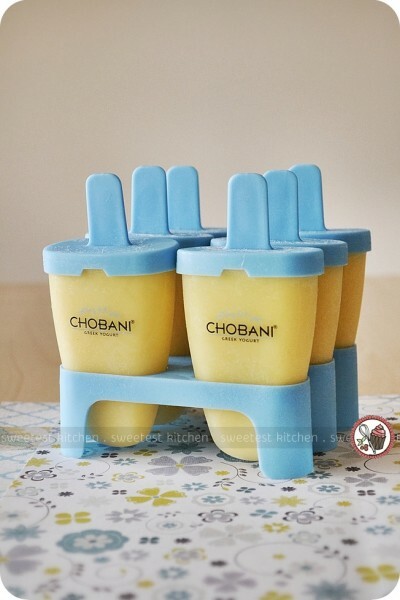 I’m sure you could also make these in a Zoku Quick Pop Maker as well, which I do actually own, but I wanted to use the special Chobani molds for this post! We loved the flavor of the Mango Frocho Pops! I’m a little picky at times, so I’d say the only thing I didn’t like was the popsicle was a little bit too icy, rather than creamy. I would owe this to the fact that the yoghurt is low-fat. Perhaps a full-fat yoghurt would yield a creamier-textured popsicle. Feel free to experiment, and let me know how it goes! 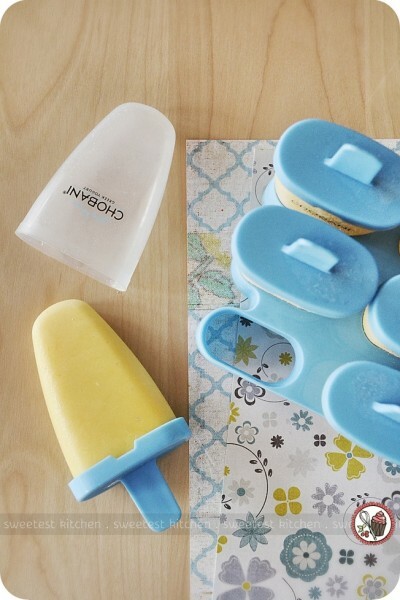 A healthy and cool treat for summertime, mango popsicles made with Greek yogurt. Transfer mixture to freezer-pop molds. Freeze until completely firm, about 6 hours. To unmold, dip mold briefly in hot water. You can also use a Zoku Quick Pop Maker, if you prefer.